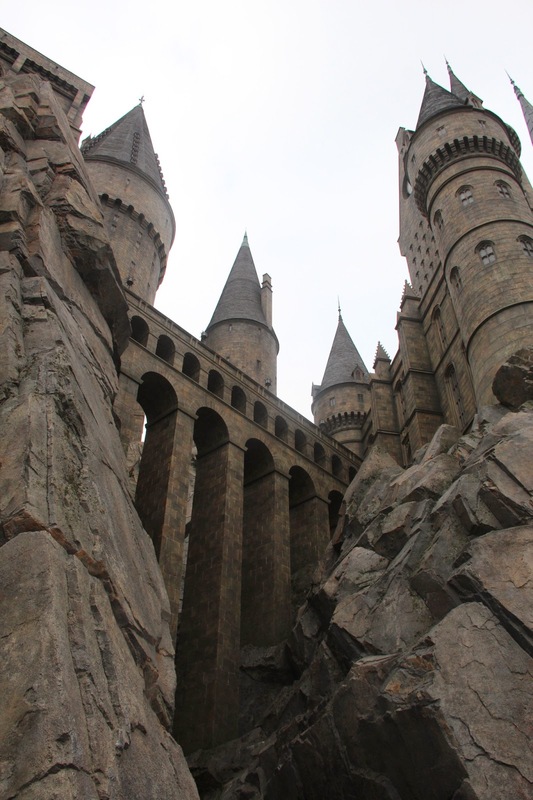 I was as giddy as a schoolgirl that got a smile from her crush as I walked the winding path that will take me to the make-believe village of Hogsmeade, and the Hogwarts School of Witchcraft and Wizardry. Ever since the books came out I've always been a fan of J.K Rowling's books. I've read all the seven books several times already, and listened to all the audiobooks and watched all of the movies as well. 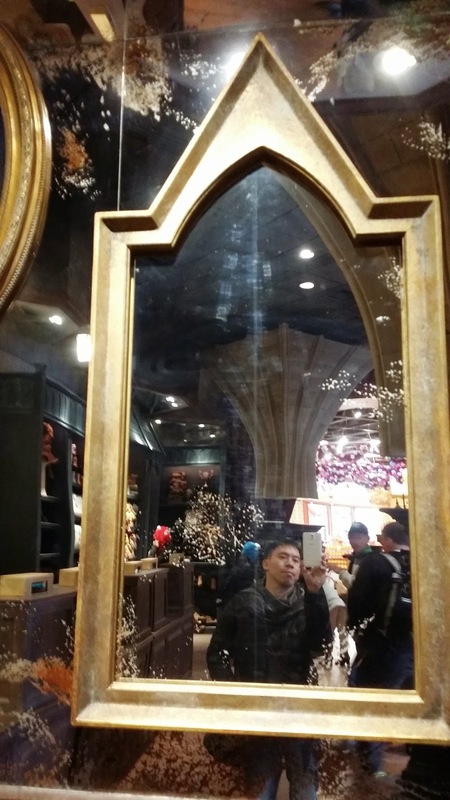 I included Osaka to my itinerary during my Japan trip just so I can drop by Universal Studios Japan and visit the fantastical place of witches and wizards called the Wizarding World of Harry Potter. After taking a morning train from Kyoto (I traded visiting the old castles of Kyoto just so I can visit the make-believe one) and navigating the metro of Osaka I ended up in the theme park just before noon. I got my ticket and got in, and lined up one more time to get a number that will grant me entrance to the castle. As the appointed hour neared I fell in line with scores of other visitors raring to get in. Soon we were ushered in and I found myself walking along a winding path bordered by tall trees that did well to hide what's behind the forest. 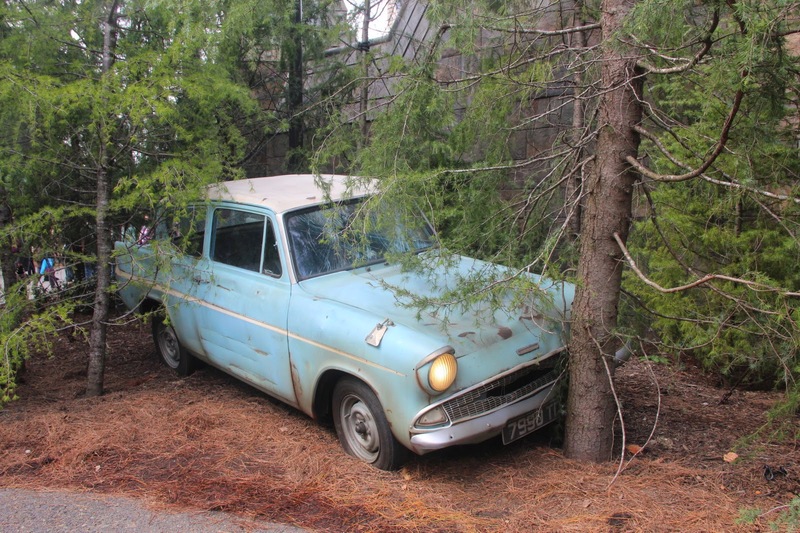 At a distance I saw the Ford Anglia, the flying car that was stolen by the protagonists Harry Potter and Ron Weasley in the second book. My excitement went up several notches when I passed through a gate, and saw the Hogwarts Express, the magical train that transports young wizards to the school., complete with a train conductor. 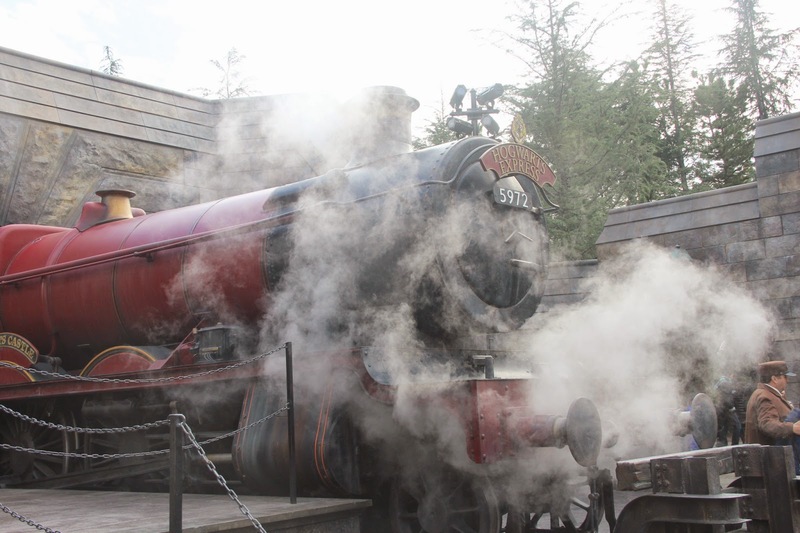 Right next to the scarlet, smoke-spewing train, is the village of Hogsmeade. The fictional village is one of the settings of the book (and the movies), inhabited solely by witches and wizards. The medieval looking village is composed of chalet-looking buildings, with steep roofs capped with snow. Several shops - familiar to those who read the books (who haven't?) - lined the main square. 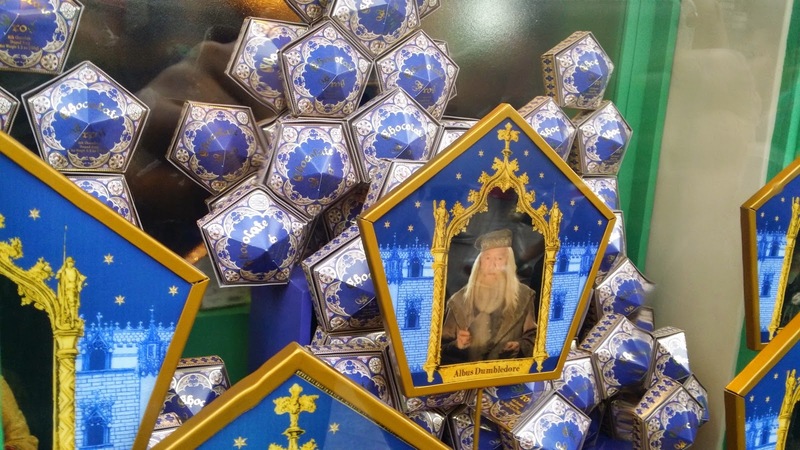 There's the Three Broomsticks, the pub and inn; Dervish and Banges, which sells magical equipment; the post office, with a number of owls in all shapes and sizes; and Honeydukes, which sells sweets. 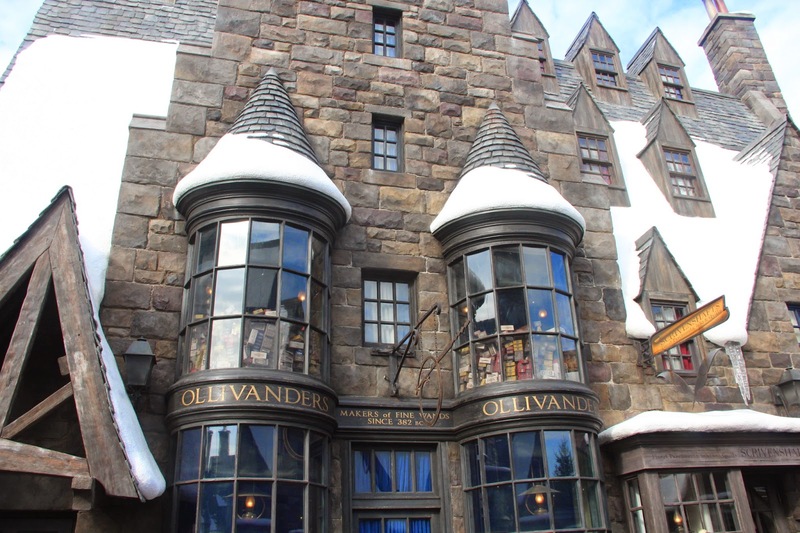 There was a departure from the book though, as this version of Hogsmeade also contains Olivander's, which sells magic wands. 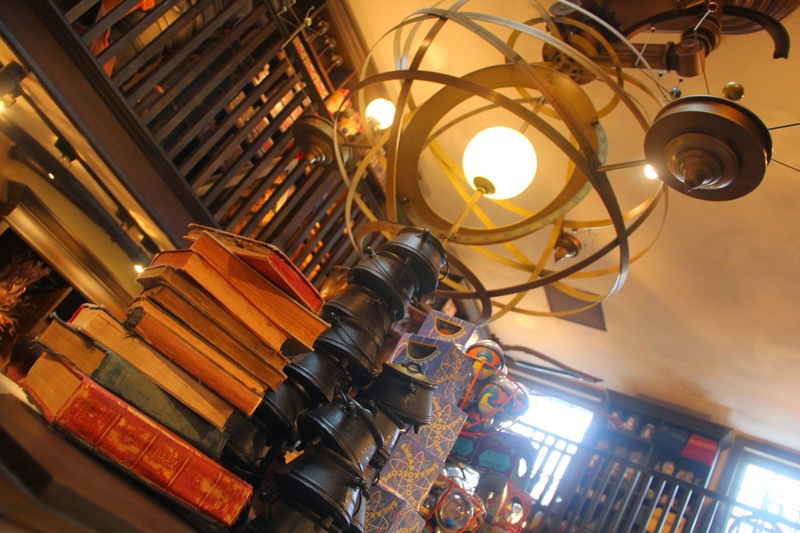 In the book the shop is located in a small street called Diagon Alley, in London. Looming above the village is the Hogwarts Castle, which is the school for young wizards and witches in the Harry Potter universe. The castle is composed of several towers with coned roofs and battlements surrounding several clustered buildings. 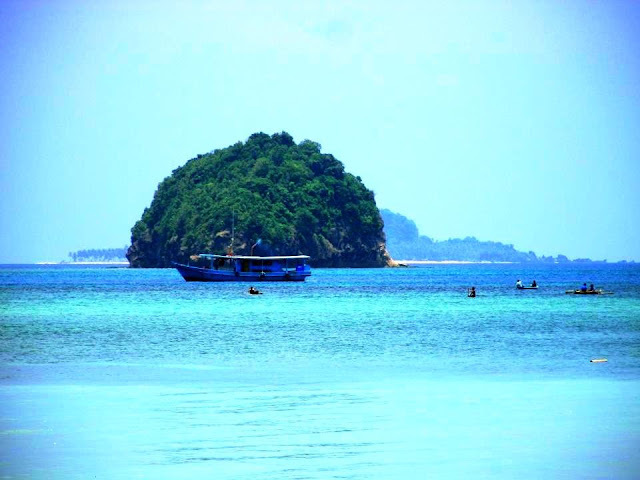 It is where most of the story unfolded in the books and the movies. The one in Universal Studios is just as I imagined it to look like, although my imagination may be been influenced by what I saw in the movies. Still, the castle looks impressive and imposing. Its gates are guarded by sculptures of fictional creatures called hypogriffs, and there was a long line of people snaking in the grounds. The people are waiting for their turn to enter the castle where some of the rides and attractions in the theme park originates. It was a long line, and it took me more than an hour to get inside. 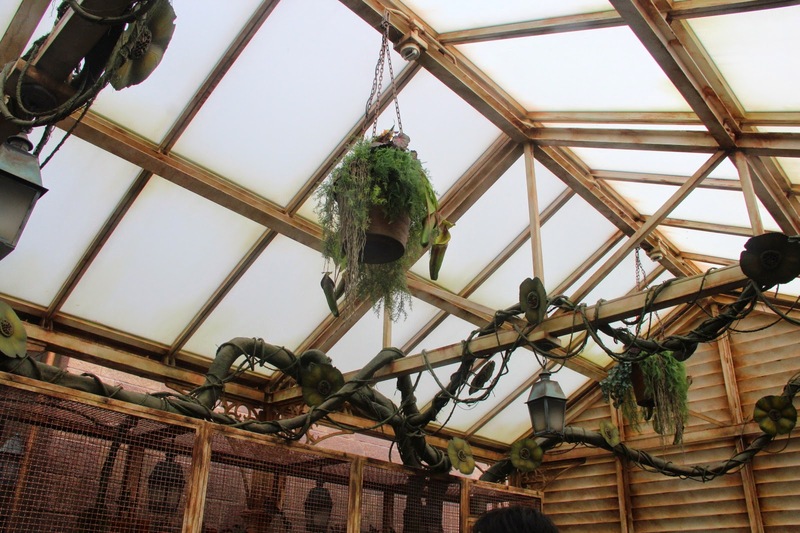 The queue goes to the side of the castle, and the waiting area there was made to look like one of the greenhouses of the Herbology department. From there you enter a locker room area built like a dungeon where you leave your stuff. 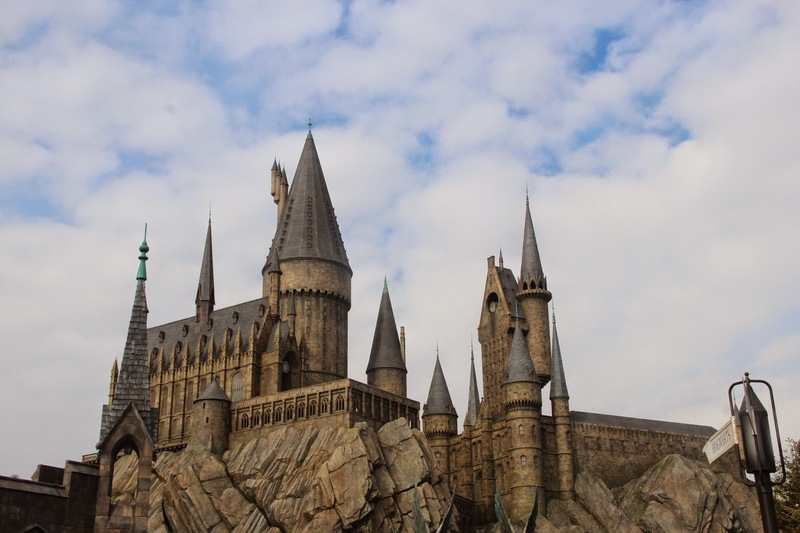 Then you can take the rides where you get to see and experience several objects, places and scenes that were mentioned in the books, such as the Griffindor common room, the talking portraits, meet Professor Dumbledore inside the Headmaster's office, and sneak in to watch a Quidditch match. You can also take a ride in the Flight of the Hippogriff. After exploring the Hogwarts Castle I went back to Hogsmeade. 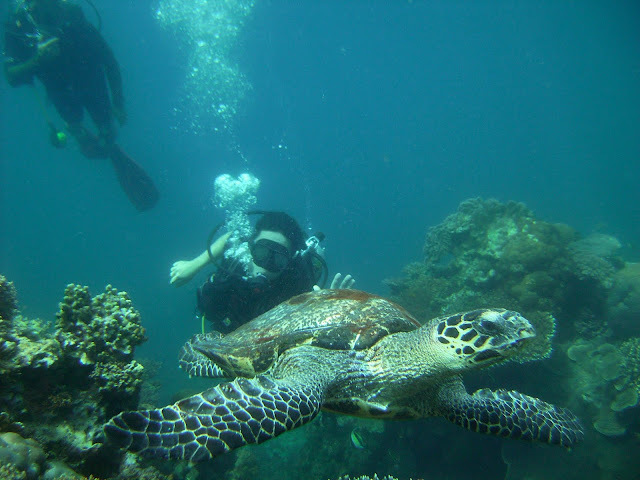 I was famished by this time and I went looking for food. I ended up in The Three Broomsticks and I fall in another line just to get in. After a quarter of an hour I finally was able to order: shepherd's pie with salad and a mug of butterbeer, a drink also described in the Harry Potter books. It tasted like rootbeer, but sweeter. The Three Broomsticks resembled a medieval inn, dimly lit by a number of torches on the walls and full of people. I took my time with my meal, imagining what Harry, Ron and Hermonione could have ordered if they're inside as well. I went back to the main square to walk some more, and started back to Kyoto as the sun was going down. 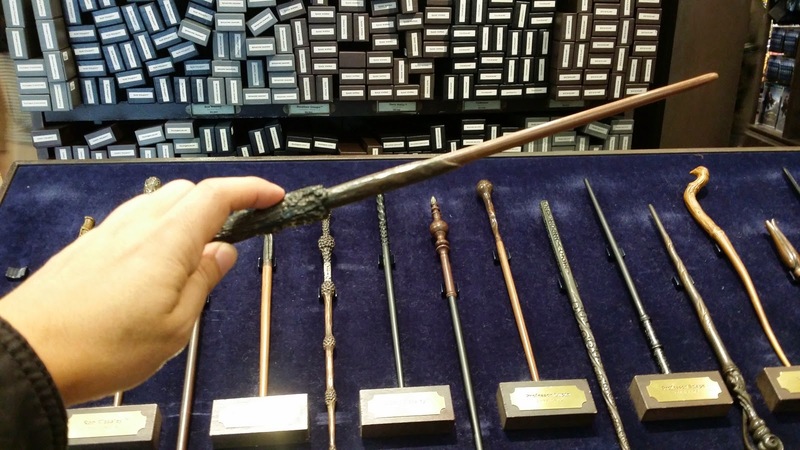 The Wizarding World of Harry Potter is one of the attractions of Universal Studios Japan, located in Osaka. From Osaka station take the JR Kansai Airport Rapid Service then get off in Nishikujo. Take the JR Yumesaki Line in Nishikujo and get off at Universal City station. Walk to the theme park from there. A one-day studio pass costs ¥7200 for adults, ¥4980 for children. 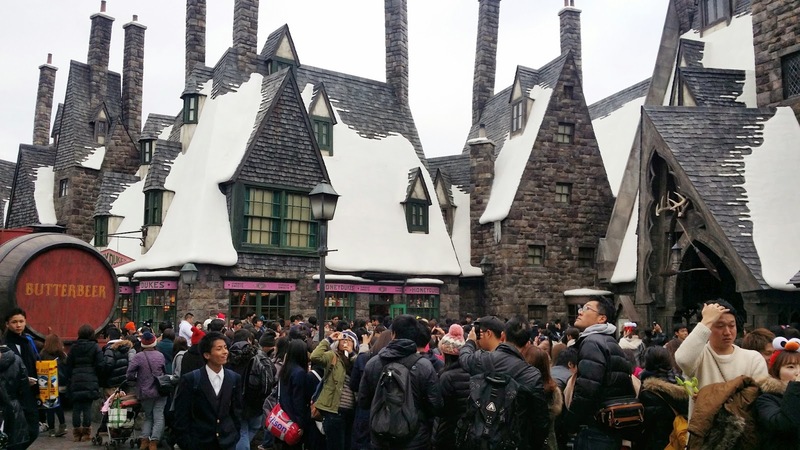 The Wizarding World is very popular so you may need to get a timed entry ticket to get inside the attraction during peak times. Get one in Central Park. The timed ticket is only valid for the designated hour, so keep that in mind.